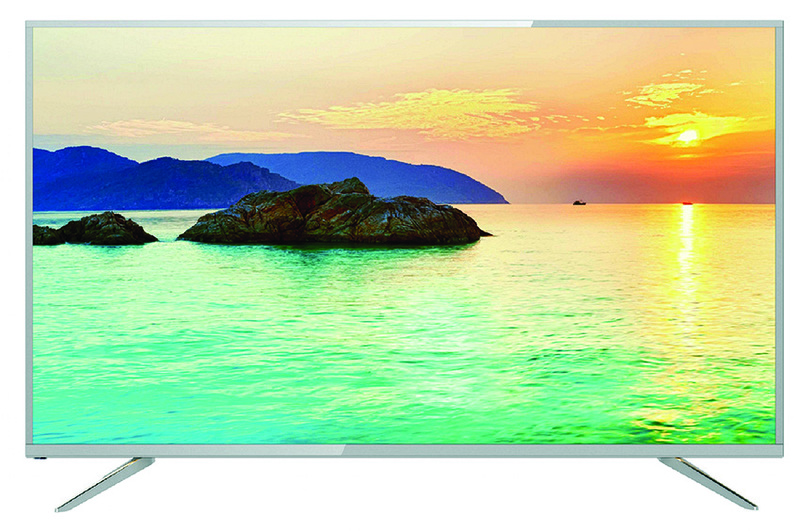 JVC brings another extension to its portfolio by launching the 75-inch 4K UHD Smart TV 75N785C. A sleek, modern design, impeccable screen pictures, magnificent sound and user-friendly technology all come together in the powerful and robust JVC TV. It is powered with a screen resolution of 3,840×2,160 and a panel that brings a dynamic contrast ratio of 5000:1, to create a lasting visual impact. Supported with the Android 4.4 OS, the smart TV brings easy access to apps like Netflix, Amazon, etc. It comes with a dual core processor which makes the browsing experience seamless. It is powered with a 1GB RAM and storage space up to 8GB to help you access and store files and applications without any hassle.